For information to be useful in the business world, it needs to be accessible, traceable, secure, and support the workflow of your organization. That's a tall order, but there are several cloud storage applications that have risen to the challenge. But, before you make a final buying decision and take the trouble to migrate your data to someone else's cloud, there are several important points to consider. Some providers have their own data centers while others actually outsource their storage to another third-party cloud, often Amazon Web Services$6,415.00 at Amazon (AWS) or a similar Infrastructure-as-a-Service (IaaS) player. That's an important point to consider: Are you signing a service-level agreement (SLA) with someone who's directly responsible for the infrastructure or are they beholden to someone else? If it's a third-party, make sure to investigate that firm and see what their track record has been. Then look at the levels of service they offer. For example, while all major offerings have some level of uptime guarantee, it is worth noting that location is an important factor. How many data centers does the third-party have? And is your data distributed among them for better reliability or is that an additional cost? In terms of sharing data, at minimum, this should take the form of a sync client, meaning software that resides on each registered client and takes care of making sure data in the cloud is synced with any local replicas. But it can also have other points of access. For instance, Microsoft OneDrive for Business syncs with the Team sites that are part of the popular Microsoft SharePoint$5.00 at Microsoft collaboration platform, while Box for Business offers a fully functional web client with drag and drop support. Shared data can be stored in folders originated by individuals, or team folders that are created by team leads or administrators and are accessible to anyone on the team. Some version of team folders should be considered a necessary component of any business-grade cloud storage application. By creating central points of collaboration that don't originate from any one user, it becomes easier to grant and revoke access as well as pass on ownership when an individual leaves the organization or changes divisions. Several solutions go above and beyond the call of duty and incorporate tight integration with popular office products such as Microsoft Office 365$12.50 at Microsoft. Users can, in many cases, view and edit the same document at the same time. While there isn't a perfect solution yet, situations where the last user always wins may go away in the near future. Keeping data safe is a bigger challenge today than it's ever been. What were once considered "advanced" data safety features, like enterprise-grade identity management, redundant storage layers, and encryption both at rest and in transit, are no longer optional. These are now basic requirements for you to even consider spending money on a service. Fortunately, cloud storage providers seem to agree, which is evidenced by commonly available features and the fact that most IT pros trusting cloud security as or more than what's available on-premises (64% according to a 2015 survey by the Cloud Security Alliance). The logic is fairly simple. Most IT professionals simply don't have the budget to research, deploy, and manage the advanced security capabilities that cloud service vendors can provide because it's key to their primary business. 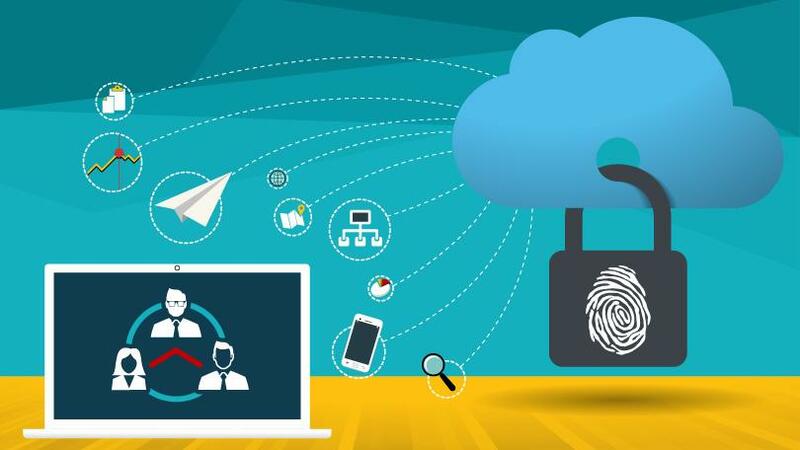 That's upped security in the cloud significantly over the past couple of years, which has had the pleasant side effect of allowing many cloud services to successfully comply with standards such as the Health Insurance Portability and Accountability Act of 1996 (HIPAA) and ISO 27001. Ensuring that information is auditable is paramount to meeting corporate obligations. Losing mission critical files due to mistakes or misconduct can often cost hundreds of thousands or even millions of dollars in reparations or lost capital. Document retention is often a requirement in legal matters as well. In heavily regulated industries, having the right information on hand can often mean the difference between being in or out of compliance with federal or industry specific regulations. All this means that before you purchase any cloud service, you need to sit down with your IT staff and your compliance expert then map out exactly where data and applications need to be located in order to pass the compliance regulations important to your business. Personal mobile devices, especially when used in Bring-Your-Own-Device (BYOD) scenarios, add new challenges to controlling the flow of sensitive documents and information. Capabilities such as remote wipe or digital rights management can go a long way in limiting how far information can spread outside of the organization, especially when these devices are lost or compromised. Some products offer these features out of the box, and others utilize third-party offerings to close this gap, like Microsoft Windows Intune$6.00 at Microsoft. Controlling permissions varies from product to product. Some solutions offer a highly granular hierarchy of permissions. In addition to the ability to define job roles and assign access based on that, multiple nested groups can be established, and adding or removing permissions is an easy affair once they're properly defined. Other products opt for a more simplified approach. It's a daunting task for a user to keep up with the litany of passwords required across all applications without reducing security in some way. Single Sign-On (SSO) solves some of this by having one secure password, such as the one used for a Windows Azure Active Directory$0.50 at Microsoft or Google account. Some solutions offer this capability as a first-class citizen while others utilize partnerships with third-party products. Either way, from a small business perspective, this is an important feature since password management is often given low priority when compared against getting business done. Locking data away doesn't end with just passwords either. In addition to having something you know, it's better to pair it with something you have. Two-factor or even multifactor authentication (MFA) is becoming a more common place option, and cloud storage companies are getting on board. Mobile phones or specially prepared USB fobs are typically the default option as the secondary authentication source, but other forms of tokens exist, including smartcards and biometrics. Almost as important as keeping information safe is making it accessible across the diverse landscape of devices that users bring to the mix. The primary candidates are the typical: Microsoft Windows, Linux and a variety of Android flavors, as well as Apple's iOS and OS X. For any platform to be effective in today's business landscape, web access is a must. In some cases, an authorized device is not always available. Being able to grab a quick document for a meeting or push a business-critical document from a remote computer can be a life saver for an ever-increasing distributed workforce – a lifesaver that users expect to be available to them. Mobile compatibility has gained a place in the ecosystem of business. This especially applies to road warriors that frequently work in planes, cars, and subways. Space is often a premium, and the ability to prepare for a meeting or analyze a Microsoft Excel spreadsheet on the go is a necessity. Having a cloud storage solution that can provide these capabilities to users via a software client optimized for their particular operating system, be it Android, iOS, even Windows Phone is a feature you should look for in a competitive service offering. One of the primary benefits of having information in the cloud is that it can be part of a larger ecosystem of connected applications. This capability gives businesses the ability to create custom workflows and business processes, often without having to hire contract programmers. For example, it's not unusual or difficult to configure your employees' note-taking apps to automatically drive input to task-tracking apps. That way, decisions made in meetings are automatically reflected in your project management toolkit. Those applications might, in turn, drive a need to store reference material. Integration-oriented application programming interfaces (APIs) help reduce the barrier to making apps work together, especially when your IT staff has some development talent. While many the most popular cloud storage solutions such as Dropbox Business and Box offer a rich set of integration options, some others, such as Jungle Disk, opt to focus primarily on the storage aspect, so consider exactly how you want these solutions to fit into your business and what it'll take to make that happen before buying. Choosing a cloud storage product for your organization can seem like a daunting task when considering all the variables involved. Striking a balance between usability, security, and customization ultimately needs to be driven by business requirements, but understanding exactly what those requirements are is a serious task that'll require real work, not something you want to come to with a snap decision. Planning is the key. Sit down with business leads, IT managers, and even a rep from the cloud provider under consideration and make sure that all parties are getting what they need. Only after going through that step should you pull the trigger on a provider and start the migration process.